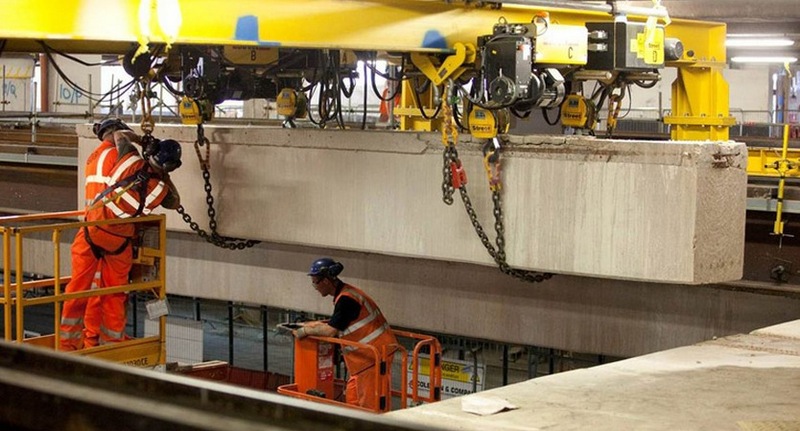 The Coleman team hard at work removing colossal concrete structures at Birmingham New Street Station. Engineering and Innovation I’m very proud of. During my period of confinement, Coleman & Company had started work on the Prestigious Multi Million Pound Birmingham New Street Station Remodelling Scheme for Network Rail. This was a very difficult, demanding and technical demolition project. It required the removal of an intermediate concrete floor of a car park, working within a live railway station environment, immediately above the busy rail network, and below the extremely busy Palisades Shopping Centre. Working from a floor with a loading of just 0.3 tonnes per m2, in an environment that excluded the nuisances of dust, noise and vibration. Mass reinforced concrete supporting beams to the floor to be removed weighed up to 80 tonnes. In total 8000 tonnes of concrete was carefully and methodically removed, a highly successful project that led to Coleman & Company receiving The World Demolition Award in Amsterdam in 2011. The structure that was originally completed in 1964 certainly was a well built stubborn structure. 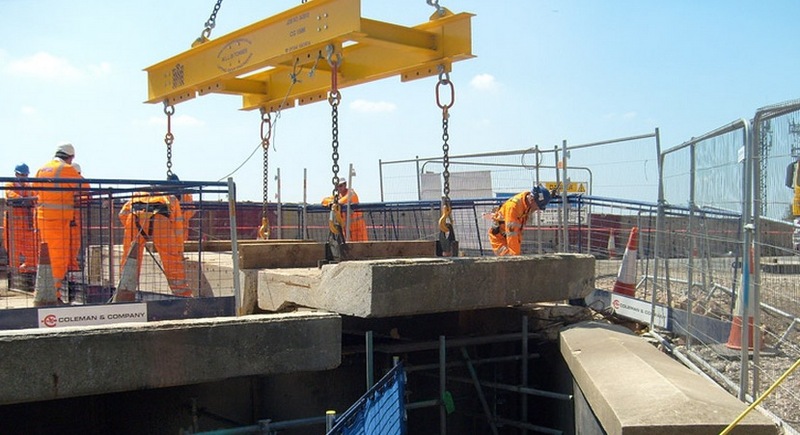 The team carefully moving a heavy piece of concrete from the A404M railway bridge. One of the most pressurised contracts we have completed. The demolition of a motorway bridge deck on the A404M motorway, a bridge that carried a large volume of traffic over the main Railway from London to Bristol and the West Country. This also proved to be another extremely technical demolition contract that was to be carried out in four hour `rail possession` periods, the implications of restrictions of the live contract were continually assessed then being amended as the works progressed. The successful completion of this project was also recognised by receiving The World Civil Engineering Demolition Award in Amsterdam in 2011. It was an extremely proud moment, to see Mark and the team receive World Demolition Contract of the Year Award when New Street Station project was the outright winner. Then the World Civils Demolition Contract of the Year Award for the A404M Bridge Deck Removal as outright winner. Whilst the highly successful Explosive Demolition of Octavia Court in Glasgow, that had to be carried out at 02:00 in the morning, due to nearby main line rail constraints, was highly commended. Three Major Awards in one extremely successful night. Coleman & Company had been in competition against Contractors carrying out some of the most intricate and demanding projects in the World. This night confirmed that Coleman & Company certainly had achieved a lot in a professional, competent manner and therefore has a right to be justifiably proud. Its record of achievement in projects successfully completed, Awards and Commendations received is further confirmation of this fact. Read more about the technical demolition projects we completed at Birmingham New Street and on the A404M railway bridge. Why not share my Demolition Diaries? This entry was posted in Civil Engineering, Complex Demolition, Demolition, Design Preconstruction Services, Health & Safety, Railway Projects, Specialist Cutting, Temporary Works. Bookmark the permalink.